I made a healthier version of my brother’s old favorite breakfast one day when Mr. Table asked for muffins. I had bananas on hand waiting to be used that were past their eating prime (I like my bananas almost green), so I threw them in the blender with some oats and greek yogurt for some added protein. 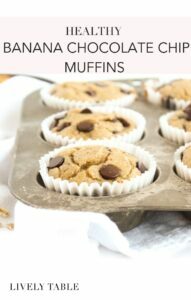 The result was a batch of delicious and healthy banana chocolate chip blender muffins that are perfect for breakfast or for snacking on the go. 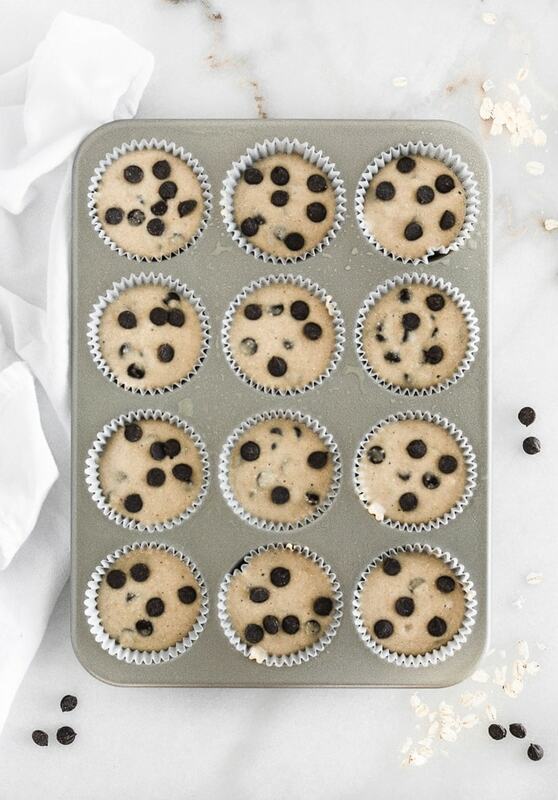 A touch of brown sugar adds a little extra sweetness, though you hardly need it because of the yummy chocolate chips! Because I used only oats, these are naturally gluten free, and they couldn’t be easier to make. Just blend, bake and enjoy! It might even be easier than the Betty Crocker pouch kind, and they are definitely healthier. Of course, I think they taste better, too (possibly due to the giant dark chocolate chips), though I guess I’ll have to bake some for my brother to see if he agrees! 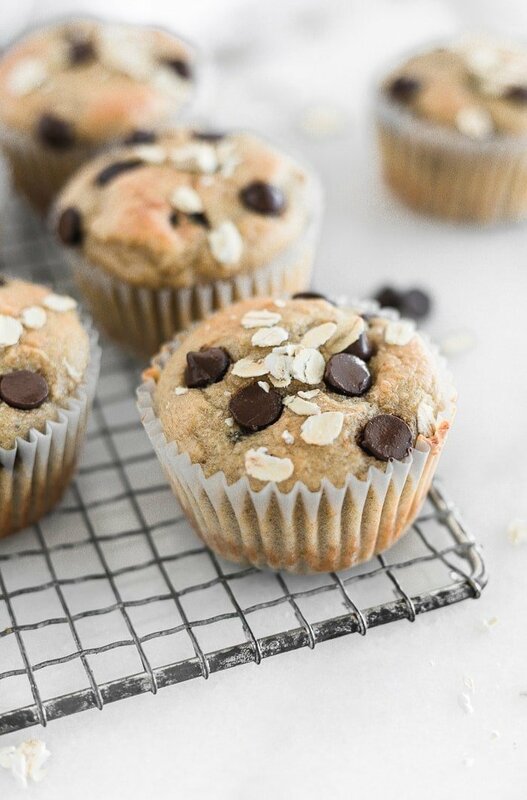 If you are looking for a quick and easy breakfast that you can grab and go, definitely give these healthy banana chocolate chip blender muffins a try. They can be kept in the refrigerator up to a week, so you can make them on Sunday and have breakfast all week. If you have kiddos, they will love you for letting them “eat cake for breakfast“- they will never know they are healthy! 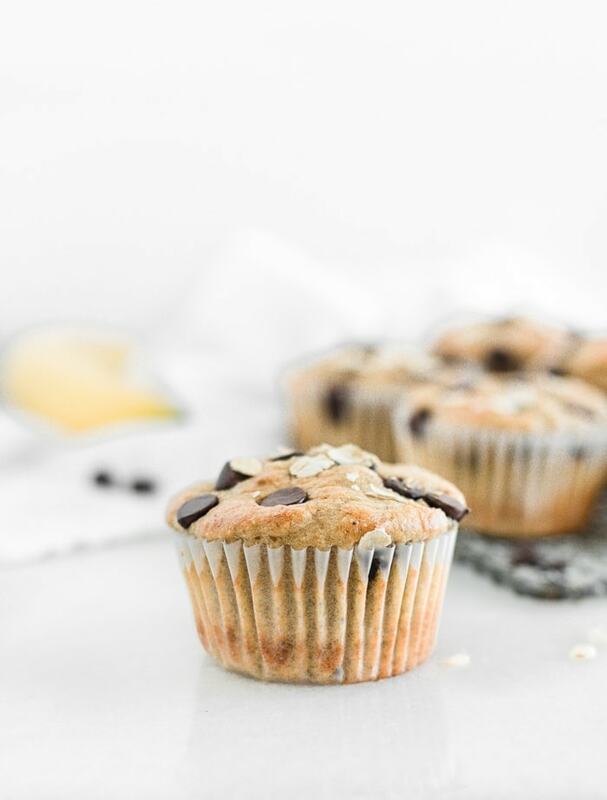 Healthy banana chocolate chip muffins are made in the blender for a super easy and nutritious make-ahead breakfast the you can enjoy on the go! Preheat oven to 375° F. Lightly grease or line a muffin tin with liners. Place all ingredients in a food processor or blender. Blend until smooth and well combined. Stir in chocolate chips. Scoop batter into muffin tin using a large scoop or small measuring cup (about 1/4 cup per muffin). Top with additional chocolate chips if desired. Bake muffins at 375° F for 10-15 minutes or until a toothpick inserted in the center comes out clean. Remove from oven and let cool slightly (for at least 5 minutes if not using liners) before removing muffins to a cooling rack.